Today is my birthday and whether you count from one or from zero, this year we are definitely off the end of the scale. This leaves me in a bit of a quandary. You see, my solar panels still seem to be functioning, perhaps not at a hundred percent but not that far off, my inertial guidance systems function up to specification – well, most of the time – as long as Jackie is reading the map, anyway. Admittedly, I do seem to require regular coffee breaks and this may be a sign of ageing, perhaps more telling is the need for a biscuit or a small piece of cake to go with the coffee. I’m not sure if there is any research on the subject – perhaps if you are a humanitarian institution you would consider funding research in this unique field? Please contact me for terms and conditions. So here we are, we have fallen off the radar, exceeded our original conceptual design paradigm, and it now looks as if the only thing open to us is to become part of the statistics that show up as “Seventy and over”. I suppose I could crash into the Pacific Ocean, if it were a little more conveniently placed. Then, of course, there is always the option to spiral off and eventually fall into the sun. This is more difficult as we so seldom see the sun these days. I’ll have to see what I can come up with. The field with the lambs in, see photo above, was recently ploughed over and reseeded with grass. This is usually done so that in a few months time it can be mown and stored for next winters stock feed. 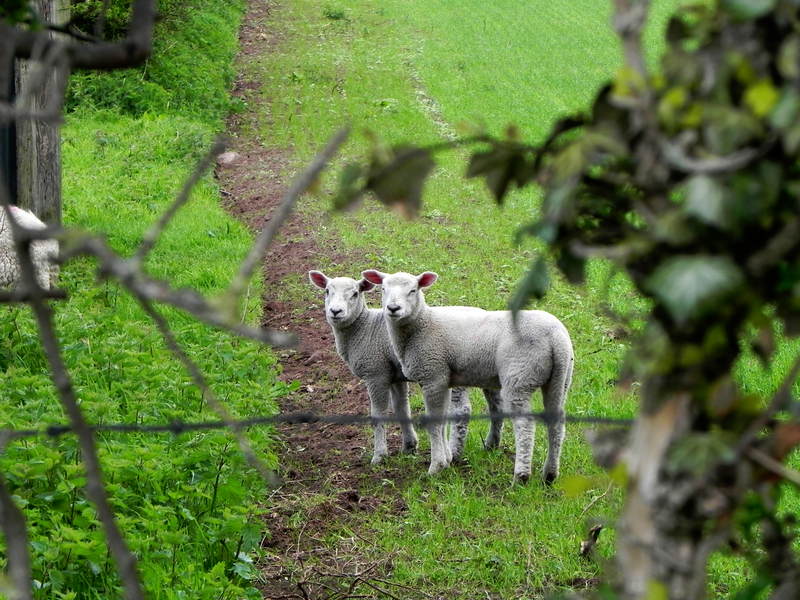 The lambs should not be in this field – they too are definitely out of bounds. I hope you had a lovely day David, and the lambs are so cute. Thank you yes I did. The lambs knew very well that they shouldn’t be in that field and were keeping one eye on the hole in the fence that they had squeezed through and one eye on me to see if I was going to shoo them back.